Detective Jin, whose wife passed away long ago, is raising his daughter single-handedly. Working day and night to round up hoods and crooks, he encounters by chance the legendary thief Neko. Neko apparently had never let the police catch or cuff him for any previous charges. But taken off guard by Jin's frank and honest attitude (perhaps too open for a police officer), Neko gradually begins to confess the details of his secret tricks as robber. Jin wins fame during this investigation, and emerges as a top detective who knows the ropes. The two begin to share an odd feeling of more than-adversary-but-less-than-friendship through this incident. When the time comes for Neko to be released from jail, he decides to challenge Jin with a new game--a game that will surely fire up their rivalry and make their fates cross again for an eternal chase-and-run. 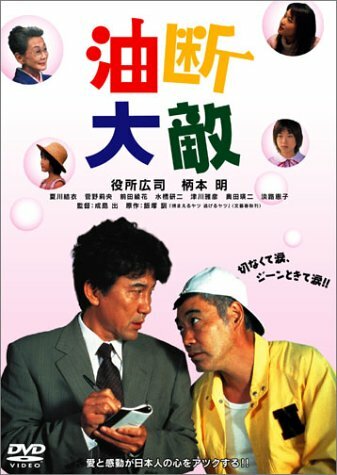 Based on novel "Tsuka-maeruyatsu Nigeruyatsu" by Satoshi Iizuka.